At first glance Navigating WooCommerce looks complicated, but most of the settings are fairly simple. And many StudioPress themes are now WooCommerce enabled. 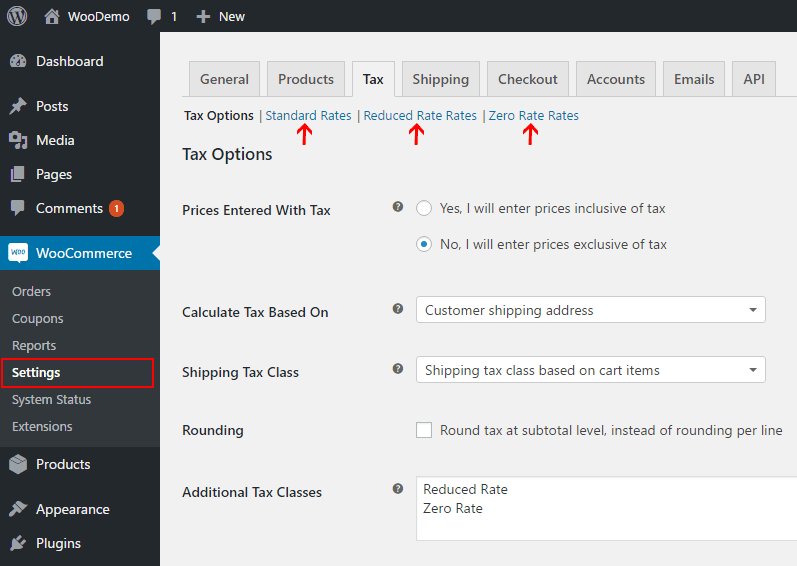 WooCommerce remembers things like tax rates and shipping costs, so you only have to set them once. This makes the day to day running of your shop much easier. If you can use WordPress you only need to learn a few extra skills to run your own online shop. Navigating WooCommerce is not scary. What do the tabs do? Orders lists products purchased and people who made the purchase. This tab gives you all the information you need to see who has ordered what products from your online shop. You can see if the order has been fulfilled or is on hold waiting payment etc. You can make your own coupons to encourage your customers to buy out of season etc. Reports help you see which products are the best sellers and discover how many people used your coupons etc. 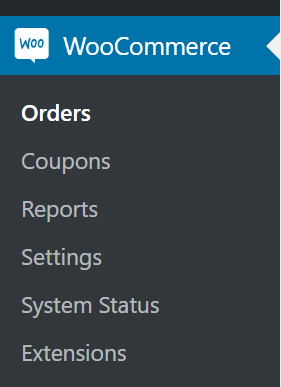 The WooCommerce Settings tab looks overwhelming at first. There are eight tabs such as products, tax and shipping. And many of these tabs have several more pages of settings accessible via a row of text links. However, you only need to set these settings once. So all you need to do is carefully work through the settings section, item by item. After you’ve worked through the settings tab carefully you might never need to visit this section again. This makes navigating WooCommerce much easier because you only use a few of the tabs on a regular basis. The WooCommerce system status tab is used for debugging and finding problems with your server or shop. You won’t use the system status tab often if at all. The WooCommerce Extensions tab, lists add ons and extensions that enable WooCommerce to do more things. Most of the extensions listed in this section cost money but some are free. Extensions make it possible for you to run a membership site or take time based bookings online etc. There are a lot of extensions available. That’s it for the WooCommece tab in the WordPress Dashboard. The other tab you need to know about is the Products tab. The products tab in WooCommerce is similar to the posts tab in WordPress. The Products tab lists all of the products you’ve added to your shop. Each product’s name, SKU and if the product is in, or out of stock. The product’s price and which categories and tags are assigned to which product. If the product is listed as a featured product and what type of product it is, such as a variable product, grouped product or simple product. You can also see the date the product was published. This tab is similar to the new post or new page tab in WordPress. Use the add product tab to add new products to your shop. 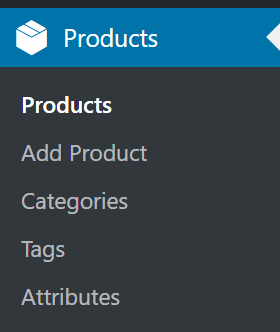 The categories and tags tab lets you add new categories or tags to WooCommerce. These are product categories and product tags and they are independent of, and different to, the categories and tags used on normal WordPress posts. There are two types of attributes in WooCommerce. You can use attributes to add plain text to your products page, such as washing instructions etc. But the most important use of attributes is to enable you to build variable products. For instance when you build a variable product page to sell t-shirts, you could make attributes of colour and size. You then add terms such as small, medium and large to your size attribute and terms such as red, green and blue to your colour attribute. When you add these terms to a variable product, they become values or options that shoppers can select from a drop down list. This lets the shopper select a small blue t-shirt for instance. If you’re new to WooCommerce I’m sure you’re feeling a bit overwhelmed right now. But much of this information is only needed when you set up your shop initially. Many ordinary shop owners cope quite easily with the day to day running of their WooCommerce shops. It’s hard to say exactly how many WooCommece shops are active no the internet. It’s probably about two million. And many of those shops are run by ordinary people, not computer experts. Which is the best StudioPress theme for WooCommerce? Many of the StudioPress themes are now WooCommerce enabled, use the Sort By: option, to discover if your favorite theme is e-commerce enabled! If you want more control than you can get with simple, grouped and variable products you can buy several add-ons for WooCommerce. These add-ons provide all kinds of options.